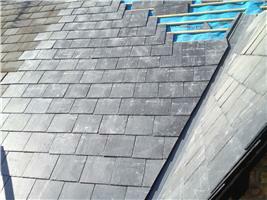 James Roofing & Building - Fascia/Soffits/Guttering, Roofer based in Abingdon, Oxfordshire. We started out as a roofing firm 35 years ago and have now grown to a roofing & building company with all good quality tradesmen: plumbing, bricklayers to plasterers to cater for your every need. We pride ourselves in quality, honesty & reliability. We will quote on any job from a small repair to complete refurbish. Our aftercare service is very important, we have customers who come back to us time and time again for more work. We have very good relationships with our customers. If you want satisfaction guaranteed call us for free advice and quotes for any project you are undertaking.